Xiomi has launched a popular 'Lake Blue' edition of its popular smartphone Redmi Note 4 in India today. According to the company, the smartphone was launched under its 'Wake the Lake' campaign. According to the company, on the sale of every smartphone of this smartphone, some money will be given in clean India campaign support, which will be used for the cleaning of ponds. 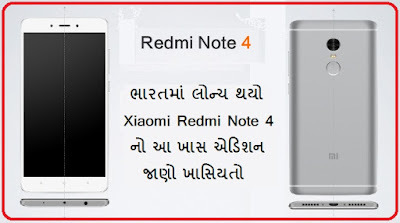 Redmi Note 4 will be available in Lake Blue Edition 4GB RAM and 64GB internal storage. The company has kept this price at Rs. 12,999. This can be purchased from September 4, 12PM at Flipkart, MI Home, MI's website and the rest of the offline stores. The metal bodyy Redmi Note 4 has a 5.5-inch full HD display. There is also a fingerprint sensor in its rear. The phone uses the 625 Snapdragon processor. Dual simulated note 4 MIUI 8 based Android 6.0 will work on marshmallows. 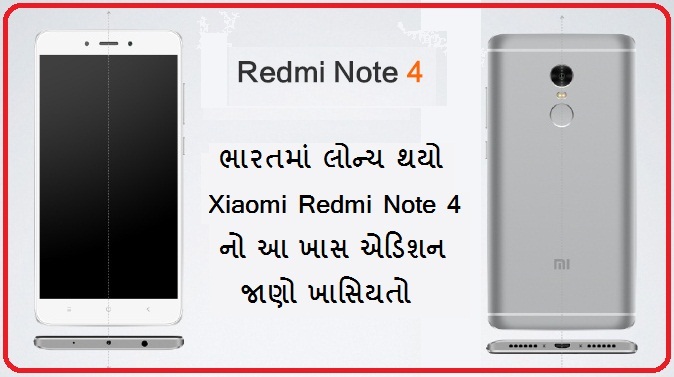 The thickness of the phone Redmi Note 4 is 8.4mm when Note3 was 8.54mm. Speaker has been placed in the Bottom for the coolest sound quality in Note 4. The phone's battery is 4100mAh and it is made with the latest technology to last longer. Speaking of the camera, the Note 4 rear features a CMOS sensor 13MP rear and 5MP front camera. The rear camera will come with f / 2.0 aperture, 77 degree wide angle lens and dual-tone LED flash, while the camera will come with 85 degree wide angle lens. For connectivity, it has 4G VoLTE, Wi-Fi, Bluetooth, GPS, Micro-USB. The phone is equipped with a lens of remote sensor feature that can connect to all devices. 0 Response to "Xiaomi Redmi Note 4 lake blue Edition Launch India"